It would not be exaggerated if we say it is a traumatic experience. The child’s world is shattered, his beliefs are shaken. Hence it becomes mandatory for the parents to avoid further damage to the child by maintaining healthy relationship with each other. Although the parents may think that their child is old enough to understand and that they can be honest with them, they should keep in mind the maturity level and the child’s coping mechanisms before giving them the complete truth. Implicit and explicit support of the parents is very important for the child. The parents should keep the communication channel open between them and their kids. The child needs to be reassured that his parents are always around for him or her. Be ready to answer all their questions no matter how silly or serious they may seem. This assurance of support allows the child to express his emotions and thoughts which would often be very confused. It doesn’t take long for that confusion to turn into frustration and self-blame. Compassion is an important element when meeting with the divorced partner and the child. One should let of the anger of divorce and avoid belittling the partner in the presence of the child. The ‘Other’ parent shouldn’t be portrayed in a bad light. For you the relationship may be a bad experience but for the child that person is a parent. Someone they look up to. Someone who is important to them. Let the child have a healthy image and a loving relationship with both the parents. As far as possible, there shouldn’t be too many changes in the child’s day-to-day schedule. Parents might make the mistake of becoming over-involved in their child’s life or completely disappear and neither is a healthy solution. Though there is no doubt in their caring intentions, it is necessary for certain things to function as they were prior to the divorce. For example, if Sunday evenings were reserved for movie nights with the father and the PTA meetings were always attended by the mother, it should continue in the same way. If the situation seems difficult to handle, parents must not hesitate in seeking professional help for themselves as well as their children. Other actions that might happen impulsively need to be minded by the parents like highlighting the partner’s mistakes, throwing away his or her things from the house, checking on the spouse’s life by asking questions to the children. The most important task for the parents would be to never, under any circumstances let the child feel that he or she was the reason for his or her parent’s divorce. It would have the potential of deep psychological damage for the child. 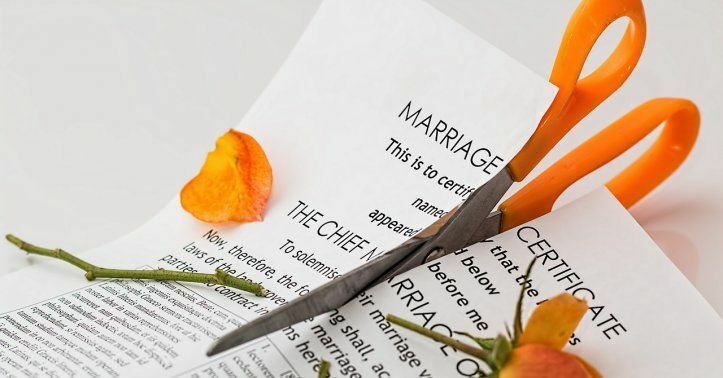 Divorce is a major change in the lifestyle of a family. It is necessary to make it a positive and a healthy one. It is no secret that the divorce rates are on a rise. Along with that comes a set of challenges for both the parents as well as the children. The partners are torn between their individual interests, their role as a spouse and also as a parent. Often, the partners don’t realize the impact their separation has on their children. Children getting neglected becomes a by-product of getting caught up in court battles and messy paperwork. A lot of times, couples maintain cordial relations with each other after divorce at least in front of their children. Even then, going an extra mile to ensure the well-being and happiness of their children is important because for no child is it easy to see his or her parents separating. It is no secret that divorce rates are on a rise. Along with that comes a set of challenges for both parents and children. Partners are torn between their individual interests, their role as a spouse, and as a parent. Often, divorcing partners don’t realize the impact their separation has on their children. A child getting neglected becomes a by-product of getting caught up in court battles and messy paperwork. A lot of times, couples maintain cordial relations with each other after divorce at least in front of their children. Even then, going an extra mile to ensure the well-being and happiness of their children is important because it is not easy for any child to see his or her parents separating. It would not be an exaggeration to say that divorce is a traumatic experience for children. The episode shatters a child’s world. It shakes her beliefs. Hence, it becomes mandatory for the parents to avoid further damage to the child by maintaining a healthy relationship with each other. Parents may think that their child is old enough to understand and that they can be honest with her. Yet, they should keep in mind the child's maturity level and her coping mechanisms before giving her the complete truth. Implicit and explicit support of parents is important for the child. Parents should keep the communication channel open between them and their kids. They should reassure the child that her parents are always around for her. Be ready to answer all her questions no matter how silly or serious they may seem. This assurance of support allows the child to express his emotions and thoughts, which would often be very confused. It doesn’t take long for that confusion to turn into frustration and self-blame. Compassion is an important element when meeting with the divorced partner and the child. One should let go of the anger of divorce and avoid belittling the partner in the presence of the child. One parent should not portray the ‘other’ parent in a bad light. For you, the relationship may be a bad experience, but for the child, that "bad" person is her parent...someone they look up to...someone who is important to them. Let the child have a healthy image and a loving relationship with both the mother and the father. As far as possible, there shouldn’t be too many changes in the child’s day-to-day schedule. Parents might make the mistake of becoming over-involved in their child’s life or completely disappearing. Neither is a healthy solution. Though there is no doubt in their caring intentions, it is necessary for certain things to function as they were prior to the divorce. For example, if Sunday evenings were reserved for movie nights with the father and the PTA meetings were always attended by the mother, it should continue in the same way. If the situation seems difficult to handle, parents must not hesitate in seeking professional help for themselves as well as their children. Parents must mind other actions that might happen impulsively and may hurt the child mentally. Examples are: highlighting the partner’s mistakes, throwing away his or her things from the house, or checking on the spouse’s life by asking questions to the children. The most important task for the parents would be to never, no matter what circumstance, let the child feel that he or she was the reason for his or her parent’s divorce. It can cause deep psychological damage to the child. Divorce is a major change in the lifestyle of a family. It is necessary to make it a positive and a healthy one as far as possible.